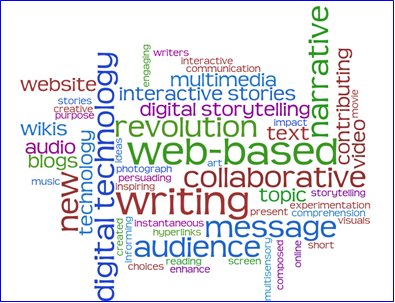 Digital writing is something that has recently become a medium in which people communicate. People are no longer writing letters or even using phones to call people but instead are opting for quicker emails, and text messages that allow for one to be in multiple conversations at once without having to be fully engaged in the conversation all at one time. Digital media is moving towards becoming the main source of communication for people and with that, there are certain rules and proper ways of etiquette to work with. The following blog has been created by students at Indiana University to explore the proper forms of digital media, specifically what they are and how to properly use digital media in today's society. We as a course have spent the semester learning what digital technology is, how individuals use digital technology, and how technology has changed writing. The emergence of digital writing has affected many aspects of writing, most specifically audience. Digital writing has provided authors with a infinite audience. Where letters and other more traditional forms of writing have a finite audience, digital writing has effectively expanded the potential audience by making writing available for view by millions of people via the world wide web.